There are many insurance options open to you, but in the event of an accident, you have the final choice of WHERE and HOW your car is repaired. In general, insurance body shops will work on many different makes of vehicle and don’t specialise. 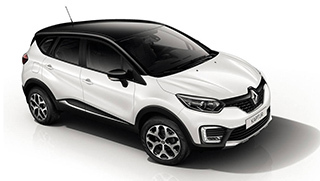 Only Renault Approved Accident Repair Centres meet Renault’s rigorous standards for service and quality and they can ensure your car and warranty are fully protected. Know Your Rights: You have the right to choose that your Renault is taken to a Renault approved body shop. Quality of parts: Only Renault Genuine parts are used on Renault vehicles to maintain your 12-year anti-corrosion warranty. Quality of repair: All repair work is carried out by trained specialists using modern and sophisticated equipment. Price transparency: Free estimates and no hidden charges. Courtesy car: Provided for the duration of the repair, subject to availability. A definite completion date: Given at the time of booking-in the car for repairs. Vehicle valeting: Every car will be valeted on completion of work. Quality control: All work is subject to rigorous quality control to ensure that your vehicle is returned to our factory standards. At S&C CAR AND COMMERCIAL REPAIRS Ltd, you’ll find only the highest standards or workmanship – from a major accident repair to the smallest dent – that’s because at S&C CAR AND COMMERCIAL REPAIRS Ltd we only employ our trained technicians, using only genuine parts to work on your vehicle. 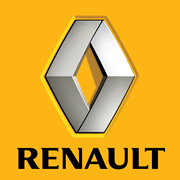 Your car will be repaired to Renault’s standard – the only standard acceptable. We’ll Handle the entire process so that you have no worry or hassle! Once we’ve seen and established the cost of repair to your vehicle, our specialists can deal with your insurance claim for you. We’ll arrange the insurance inspection, book your courtesy car and organise the collection and delivery of your vehicle.